The life of the great anti-apartheid revolutionary Nelson Mandela is to be celebrated in an evening of dance by United Dance Productions. All disciplines and ages, from 3yrs up, will grace the stage at the Ruth Seaton James Centre on July 27 and 28 at 7pm. The former South African President’s struggle was instrumental in UDP’s first ever production. UDP founder Suzette Harvey told the Bermuda Sun: “I was inspired in the summer of 1990 after college graduation to return home and build a show that would highlight Nelson Mandela and apartheid. The dancers will perform beautiful ballets to the South African anthem as well as many powerful freedom songs. The costumes are full of colour from sunset ivory to a violet black feather tribal tutu. Harvey added: “The music is fun, intense and uplifting and it will be our celebration to thank Nelson Mandela and pay homage to his life. “The tap department has so many diverse, fun dances as the tempo of the show builds. 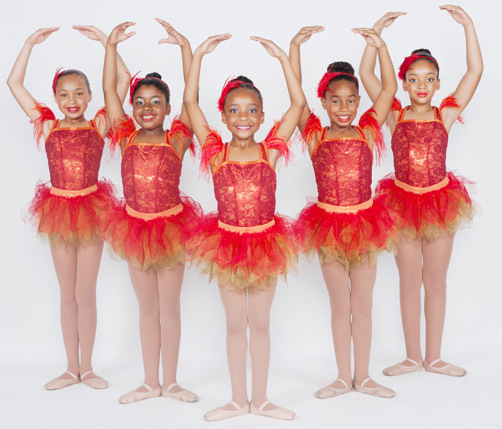 The young dancers will “put on the Ritz” in black tails, top hats and canes, which is a show- stopper choreographed by Natasha Outerbridge. It’s remarkable to see these young tappers remember every step and control a cane without missing a beat and any teacher assistance. The Intermediate and senior tappers have instrumental tracks that will demonstrate their sense of musicality, timing, and more intricate skills. It will then be time to buckle up your seats for the hip hoppers as they pop, drop and get busy to the beat of the funky music mixes. “The costumes are vibrant and the dancers will have you in an uproar. They are coming to take the roof off!” said Harvey. The modern/contemporary department is described as “outstanding, with high praises for teacher/choreographer Carling Ray, whose talent continues to blossom as you will see in her work”. The young dancers will take you on an emotional ride and the senior dancers will be on the attack. The Show will end with the jazz dept presenting the Circus, where all class levels collaborate and the pace is fast and at a high. The energy is endless and the costumes will glow! “It’s the perfect finale,” said Harvey. A Tribute To Nelson Mandela by United Dance Productions. • Where: The Ruth Seaton James Centre for Performing Arts. • When: Friday, June 27 and Saturday, June 28. • Tickets: Available from brownpapertickets.com Prices range from $35 to $75.